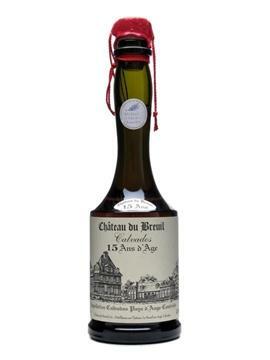 The Château du Breuil "15 ans d'Age" is a blend of Calvados aged at least 15 years. The small quantity of younger brandy in the blend gives it its fragrant apple bouquet which then gives way to robust tannins of old mature Calvados. A rich and voluptuous Calvados of great depth.